Don't be shy! Just don't buy! And here’s a good reason why! Join True North No Gas Fridays and hit back at Big Oil price gouging. When enough drivers make the point that they're mad as hell and won't take it anymore Governments will act. You can count on it. Protect yourself with True North No Gas Fridays. Take care, beware, don't go near that thing on Friday . . . theres a gouger lurking, with a very greedy eye on your hard-earned money. In 1999, the price of oil hovered around $16 a barrel. In the fall of 2007 it began to approach the $100 a barrel mark. The reasons for the surge ranged from the relentless growth of the economies of China and India to widespread instability in oil-producing regions, including Iraq and Nigeria's delta region. The prospect of triple-digit oil prices has redrawn the economic and political map of the world, challenging some old notions of power. Oil-rich nations are enjoying historic gains and opportunities, while major importers including China and India, home to a third of the world’s population confront rising economic and social costs. Managing this new order is fast becoming a central problem of global politics. Countries that need oil are clawing at each other to lock up scarce supplies, and are willing to deal with any government, no matter how unsavory, to do it. In many poor nations with oil, the proceeds are being lost to corruption, depriving these countries of their best hope for development. And oil is fueling gargantuan investment funds run by foreign governments, which some in the West see as a new threat. Countries like Russia, Venezuela and Iran are flush with rising oil revenues, a change reflected in newly aggressive foreign policies. But some unexpected countries are reaping benefits, as well as costs, from higher prices. Consider Germany. Although it imports virtually all its oil, it has prospered from extensive trade with a booming Russia and the Middle East. German exports to Russia grew 128 percent from 2001 to 2006. Old Farmer Jones was hauled into court by Sheriff Harasser on a charge of Second Degree Murder. — 218 words. If obesity seems to be spreading like a virus, that could be because it is. We're now closer to understanding how adenovirus-36 (Ad-36), thought to be responsible for some cases of obesity, causes fat cells to grow. — 242 words. Drivers often joke their car "is running on fumes," when the tank gets low. Well, how about an engine that actually gets its energy from gasoline fumes? — 884 words. VANCOUVER — Voters won't go to the polls until November, but the contest to become the mayoral candidate for Vancouver's newest political party is already as fiercely fought — and likely as expensive — as entire municipal elections run elsewhere in the province. — 1,142 words. True North Perspective contributing editor Rosaleen Leslie Dickson presents the following, inspired by the National Press Club Spirit of Canada Gala taking place on Wednesday evening, April 30, at the Sheraton Hotel, Ottawa. — 485 words. Last Friday, April 4, was the fortieth anniversary of the assassination of Martin Luther King in Memphis, Tennessee. Some friends and I were talking about how we remember intimately where we were when we first heard of important, world-shaking events such as the murder of this famous civil rights leader. — 790 words. Researchers are always looking for the magic bullet to kill cancer, and now they may have found it in a surprising place — a glass of beer! (Who knew?) It turns out that hops, which is the flavor component of beer, contains a cancer-fighting compound called xanthohumol. — 185 words. The Kremlin has designed its power vertical in such a way that any public complaint against the government is considered a sign of disloyalty. Nonetheless, government authorities are complaining a lot these days. Most important, it is the members of the siloviki (secret police) and the military who are complaining the loudest. This is striking because, according to their own code of honor, it is better to take a bullet in the head than to air dirty laundry in public. — 638 words. A group of Saskatchewan friends went deer hunting and paired off in twos for the day. That night, one of the hunters returned alone, staggering under the weight of an eight-point buck. 'Where's Henry?' the others asked. — 365 words. Note: Bill Moyers delivered these remarks in Washington, DC, April 3 at the fifth annual Ridenhour Prize awards ceremony, sponsored by The Nation Institute and the Fertel Foundation. Moyers received the Courage Prize; author James D. Scurlock, received the Book Prize, and former Navy JAG officer Matthew Diaz received the Prize for Truth-Telling. The text of his speech appears here as part of the ongoing Moral Compass series, highlighting the spoken word. — 1,976 words. President George W. Bush delivered his latest statement on Iraq Thursday, April 10, and the main question at this point is whether he instructed the speechwriters to be mendacious or merely shallow. — 1,603 words. SHANGHAI, China — The former Communist Party chief of China's financial capital was sentenced Friday to 18 years in prison for his role in a massive corruption scandal involving a third of the city's pension funds. — 434 words. There have been five agonizing years of this war in Iraq . Five terrible years of bewilderment and rage. Commemorating that anniversary, Frontline, the PBS investigative series, allotted four-and-one-half hours over two nights to an in-depth analysis of the war in Iraq and how it came about. — 1,117 words. Maybe it was because I was sitting in the back of the Senate chamber with three war protesters — grim-faced, chanting women dressed in black hooded cloaks, white makeup and blood-red hands — that I felt as though I were watching a production of “Macbeth” rather than a hearing on Iraq. — 841 words. How has the United States economy gotten to this point? — 1,043 words. a vehicle-traffic tunnel from Siberia to Alaska? ‘Important events are taking place in Europe. To ignore them would be to remain ignorant of today’s dilemmas. With enough patience to get through the next few pages, readers will have access to news that were extracted from a sea of information, news which see the light of day at different times and on different days, thrown together with other headlines, vital and not.’ — 3,611 words. For many Canadians, their home is their castle. It’s where they spend the greatest portion of their time relaxing with friends and family, entertaining, tackling odd jobs, or sleeping. They also spend a large chunk of their income on mortgage payments, property taxes, repairs and upgrades. But how much do Canadians know about the homes they live in or are planning to buy? As you tour open houses in search of your dream home this spring, or plan renovations at your existing abode, we invite you to test your knowledge of housing with our trivia quiz.. We’ll pose one question each issue here. You can find the answer at the bottom of the page. Good luck! a) sell every house on a downtown Toronto street in two days b) build a house in one day c) create Canada’s first mobile home by converting an old streetcar into a residence d) sell two Toronto residences for $1 million on the same weekend. Indefinite Occupation — Not that it should surprise anyone. George W. Bush and Nouri al-Maliki want to sign a long-term security treaty. Both are executives of countries with Constitutions that require treaties to be ratified by their respective legislatures, and both know that ratification doesn't stand a snow-ball's chance in Hell of happening. — 507 words. George Soros will not go quietly. At the age of 77, Mr. Soros, one the world’s most successful investors and richest men, leapt out of retirement last summer to safeguard his fortune and legacy. Alarmed by the unfolding crisis in the financial markets, he once again began trading for his giant hedge fund — and won big while so many others lost. — 1,401 words. ‘How far are we going to allow the Fed to subsidize Wall Street? Is there anything the U.S. Federal Reserve WON'T do? That's the question I'm asking myself here as I watch it go further and further down the "extreme activism" road. —2,520 words. Last November, Lord (David) Puttnam debated before Parliament an important bill to tackle global warming. Addressing industry and government warnings that we must proceed slowly to avoid economic ruin, Lord Puttnam recalled that precisely 200 years ago Parliament heard identical caveats during the debate over abolition of the slave trade. At that time slave commerce represented one-fourth of Britain's G.D.P. and provided its primary source of cheap, abundant energy. Vested interests warned that financial apocalypse would succeed its prohibition. — 1,428 words. Sam Trosow & Laura Murray's new book, Canadian Copyright: A Citizen's Guide (Between the Lines, 2007, ISBN 978-1-897071-30-4), is a must-read for all working writers, editors and publishers. — 186 words. Many of us, as kids in the '50's, had our own versions of "Boo" Radley in To Kill A Mockingbird. Proper mental health care just wasn't there and the afflicted had to make do at home or be banished to the "Looneybin" in Brockville. — 579 words. Every Friday in this spot True North will feature a book by a Canadian writer. The presentation will not be a review. It will include a profile of the author written by him/herself and about the product of the author’s literary labours. If a reader wants to file a review we’ll publish it. Today we offer The Other Man by Kevin Dooley. The copy and photos were filed with two reviews so we’re publishing those too. Looking forward. — Carl Dow, Editor. 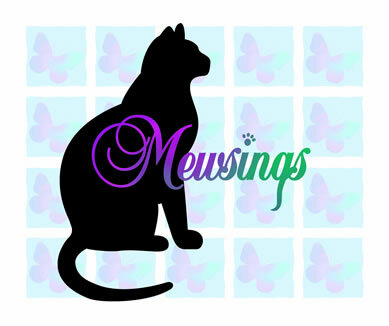 Mewsings/Musings combines the subtle wit and gentle satire of award-winning writer, Barbara Florio Graham, back to back with her celebrity cat, Simon Teakettle, in a clever flip book designed to "a-muse" readers of all ages. Barbara's satiric pieces on writing and teaching are coupled with several of her award-winning humorous poems as well as witty comments on living with the "classy cat in the black fur tuxedo." Be sure to click here for more. Ottawa publicity experts Barbara Florio Graham and Randy Ray will share their expertise on how authors and businesses can get their message out to the public effectively and inexpensively. The three-hour workshop opens at 1 p.m. on April 19 at the National Library in Ottawa and is sponsored by Ottawa Independent Writers. Cost: $50 for OIW members; $60 for non-members. Answer to Homes Quiz Did You Know? b) LePage built a four-bedroom bungalow in Toronto in one day.